This guide, or mini-directory, is aimed at organisations and groups working with refugees and asylum seekers. 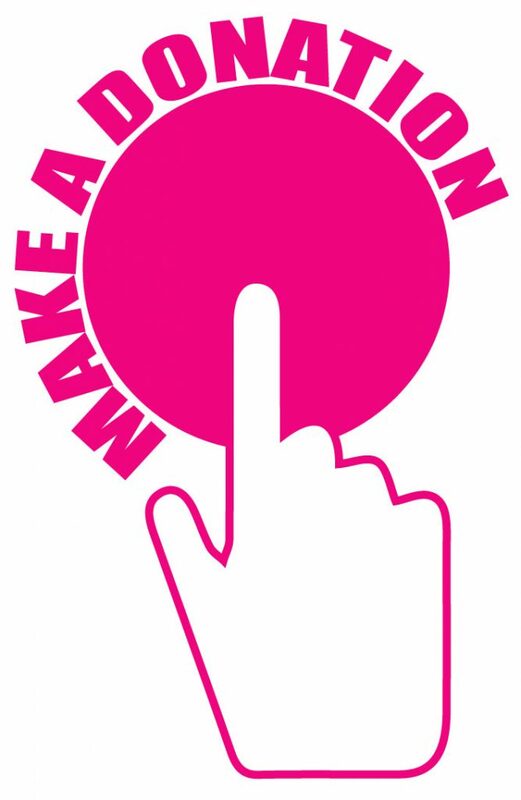 It is hoped that it will be a useful resource in terms of increasing awareness of local provision and services, as well as facilitating appropriate signposting and referrals and promoting joined-up working between different organisations working with refugees and asylum seekers. Do remember that needs and organisations evolve over time and services may change in the future. This document is intended as a guide and is not exhaustive; there may be other groups doing good work with refugees and asylum seekers that we are not as yet aware of, or have not been able to contact this time round. If you know of any organisation or group that should be included in any updated version of this mini-directory, we would be very pleased to hear from you. 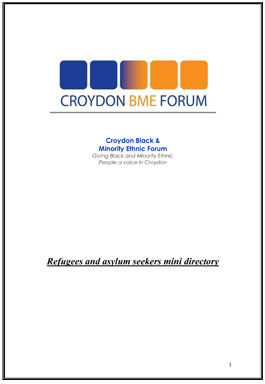 Please note that information has been sought and included in good faith and Croydon BME Forum cannot take responsibility for the quality of any of the services listed herein.